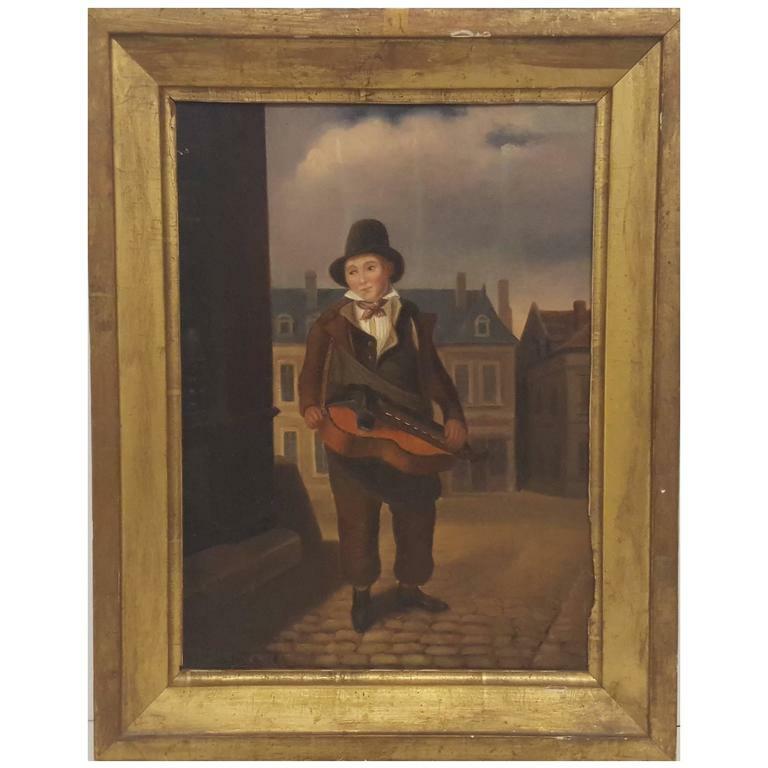 A small oil painting in excellent condition with canvas remounted. It is framed in a gold leafed frame, perhaps the original. 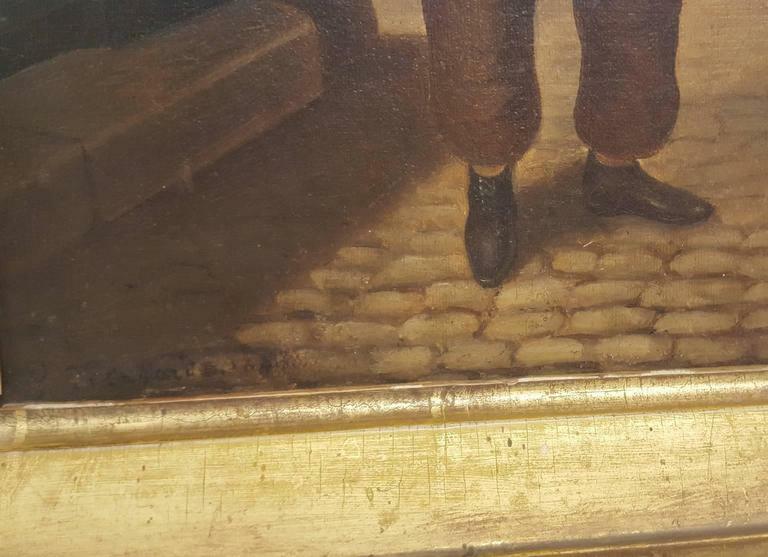 It is signed by the artist on the lower left, however the painter's name is illegible. 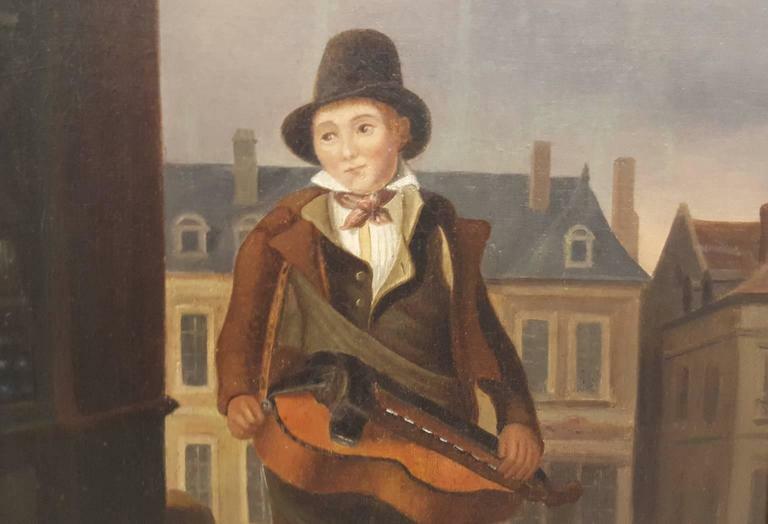 The subject is of a musician on a city street in perhaps France or Belgium. 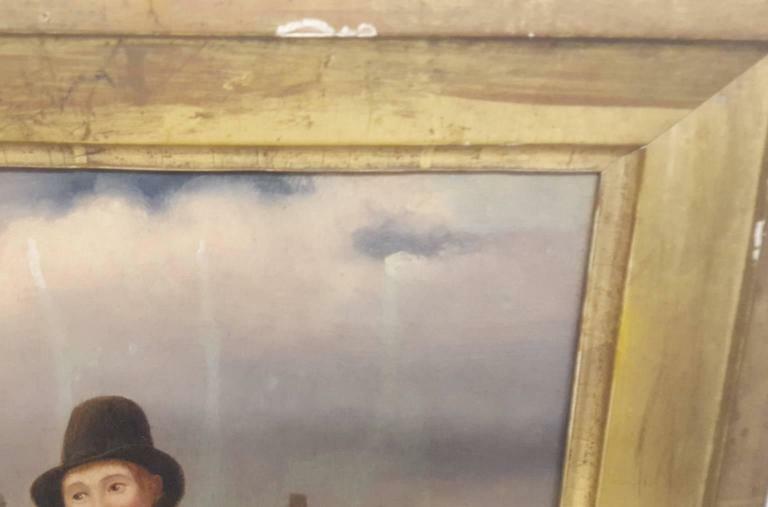 The canvas and paint are in very good condition, but the gold leafed frame has some chips and losses, evident in the photos provided. 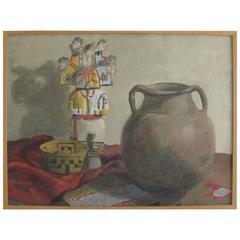 An unsigned, unframed, oil painting on canvas. 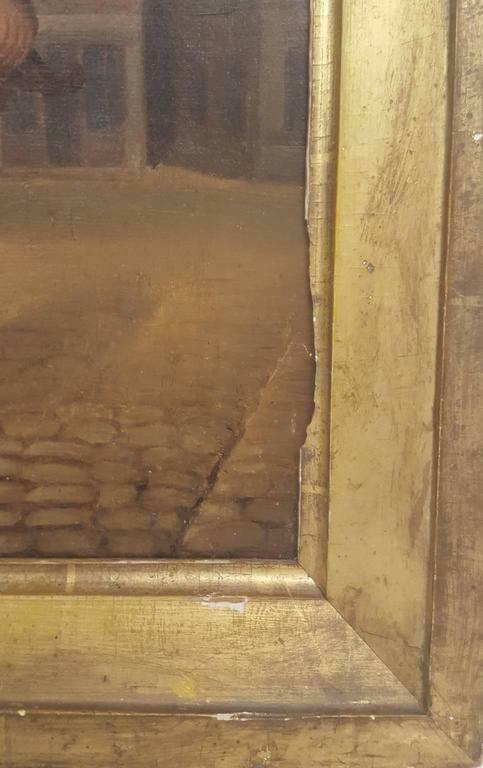 This painting is peaceful, charming and in very good condition. 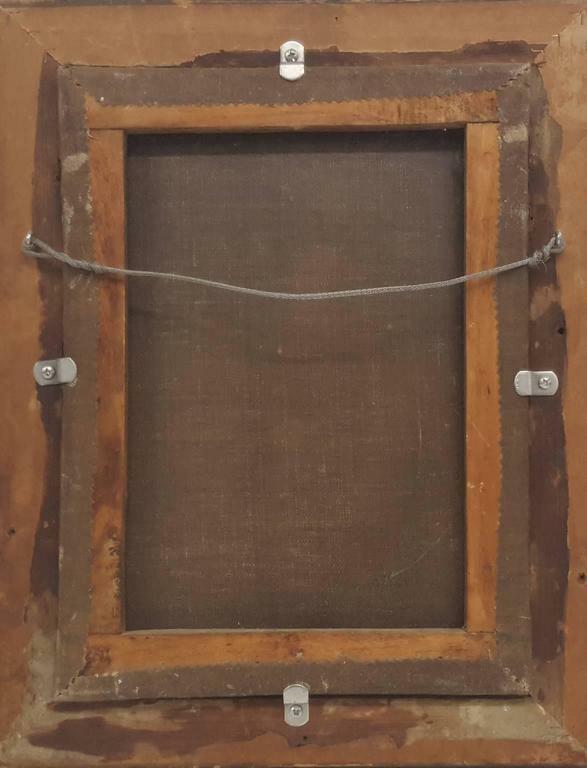 It is tacked to its original wood stretcher bars. Sensitively rendered, original, oil-on-board portrait of a seated ballerina in costume. 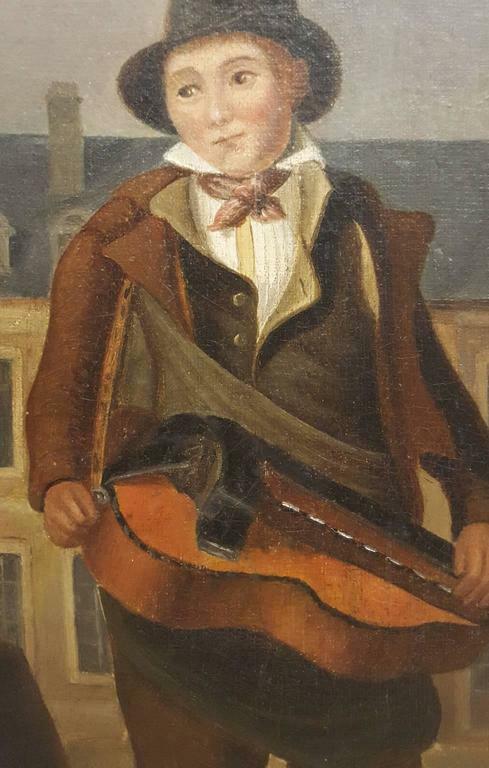 Acquired in Paris from a private collection of period paintings and drawings.